guardianwolf216: Spitfire 2.0. The 2nd Spitfore in Season 2. In case it’s not obvious, guardianwolf216 used her favorito! 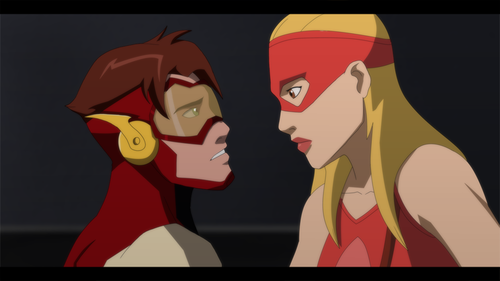 ‘Spitfire’ screenshots (Infiltrator) and re-drew it as Bart/Impulse and Cissie/Arrowette.. Wallpaper and background images in the Justicia Joven club tagged: young justice arrowette cissie bart impulse.